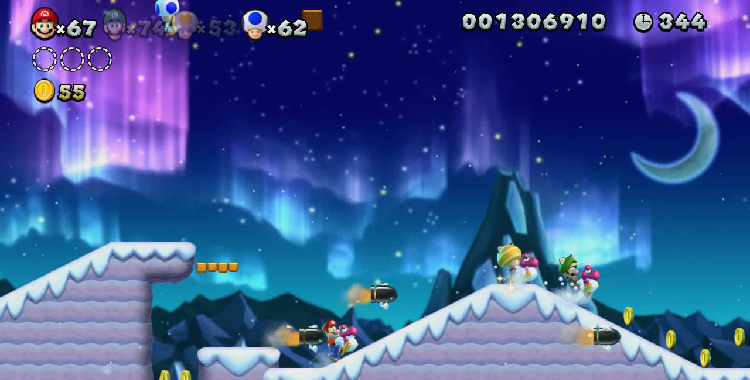 Mario, stop looking at that cool background over there. Mario, there’s a Bullet Bill coming straight for your neck. Mario.